What a brilliant day it turned out to be. 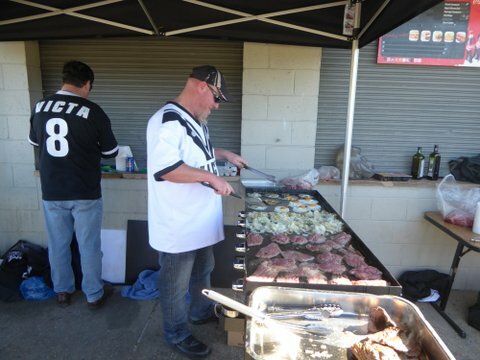 The weather was great, plenty to eat and drink a heap of Wests supporters and lots of Old Boys ……. 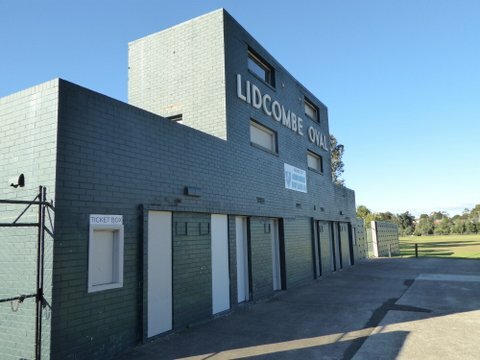 The new and improved Scoreboard at Lidcombe Oval. Final score with only 47 seconds to go. 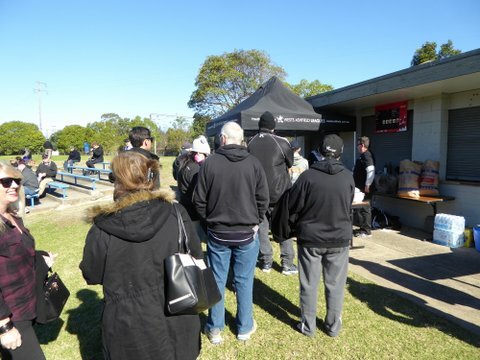 Below are a few photos I took of this fabulous day at Lidcombe Oval. 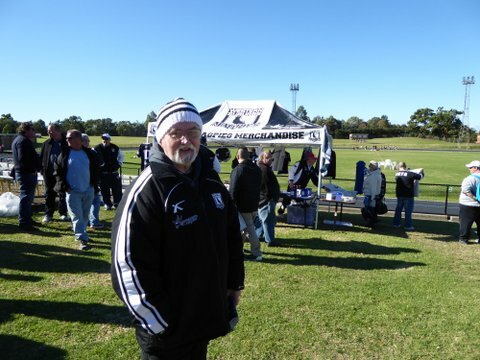 A well rugged up Paul Dillon. 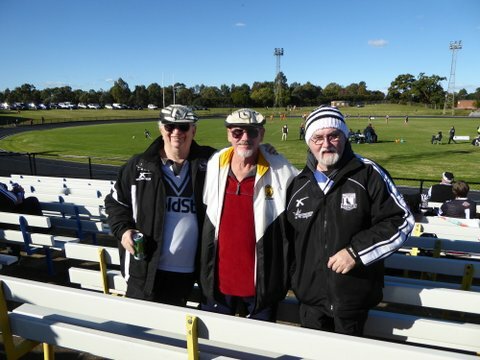 3 Wests supporters from the Victa era. L to R Barry Glasgow, Noel Kelly, Geoff Squires and Tim Murphy. 3 Enfield Feds boys. 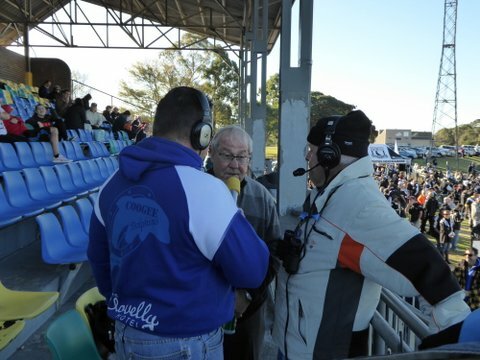 Wayne Bennett, Terry Tasker and Neil Bennett. 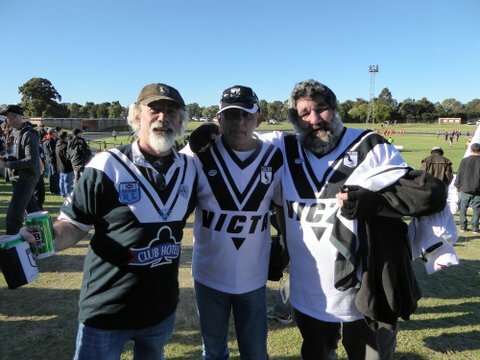 More and more Wests supporters arrive at Liddy Oval. 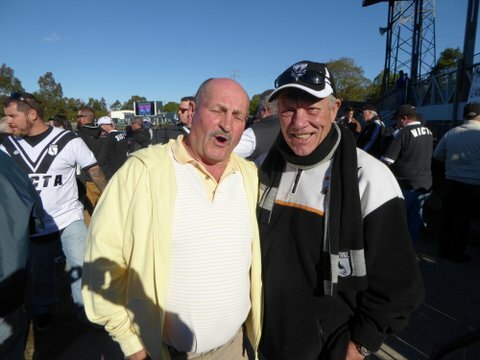 Wests fan and Joe Cool. Merchandise Tent had a very busy day. 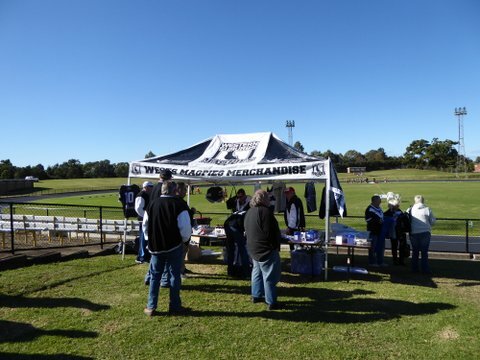 Mick Luibinskas selling drinks at the most popular Tent. 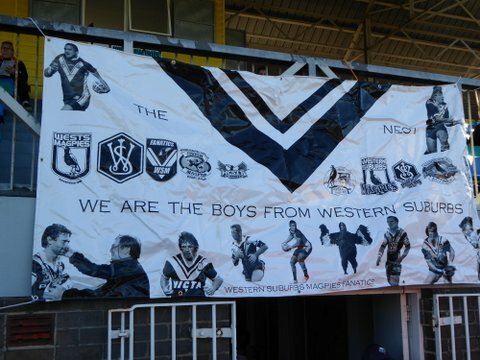 The Wests banners were thick on the ground. The cold wind was coming from the South. John Purcell (singing) and Old Mate. Time to join the line for lunch. 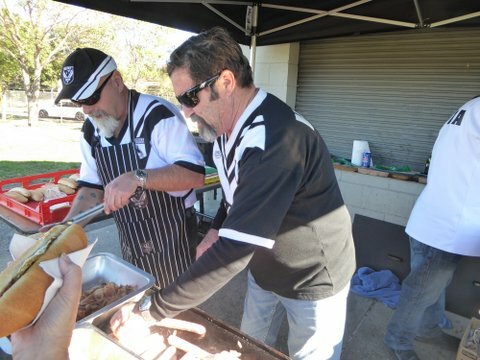 The snags were very good…well done lads. Jamie Myers and Bruce Clarke. 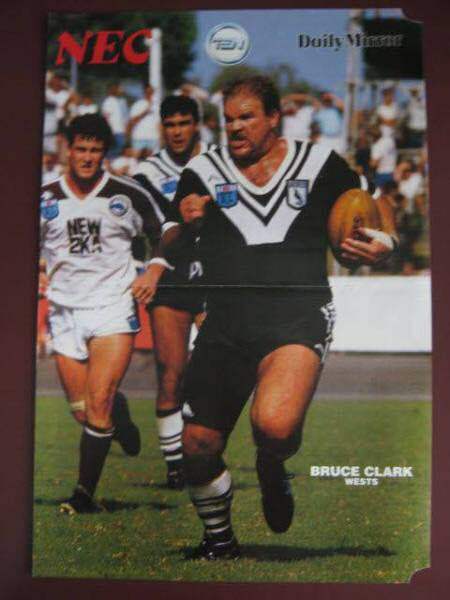 Bruce Clarke on the burst a few years early…at Liddy Oval. 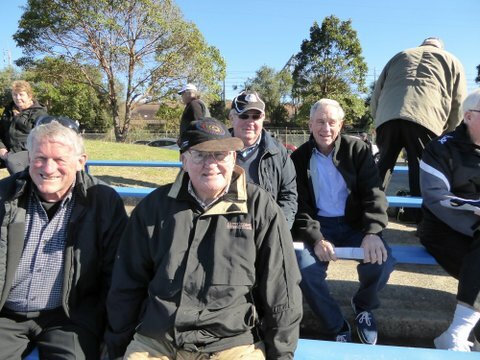 These 3 blokes have been sitting together at Lidcombe Oval since 1967. Left to right. 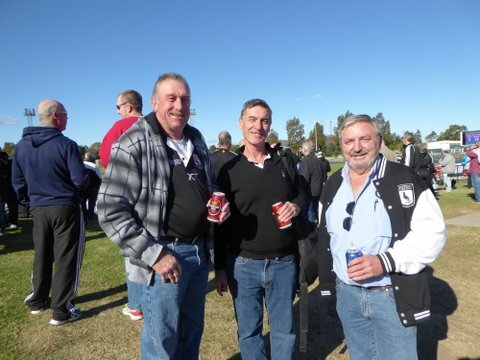 Gordon Fraser, Peter Payne and Paul Dillon. Roy Masters talking to the Media. 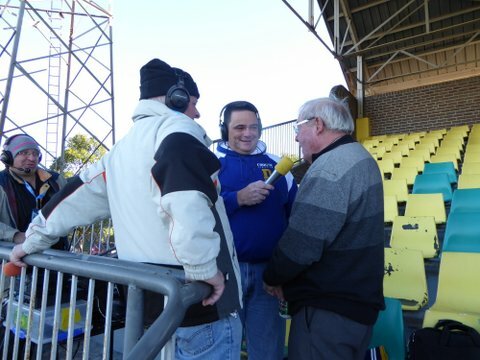 Roy Masters talking about the good old days at Lidcombe Oval. 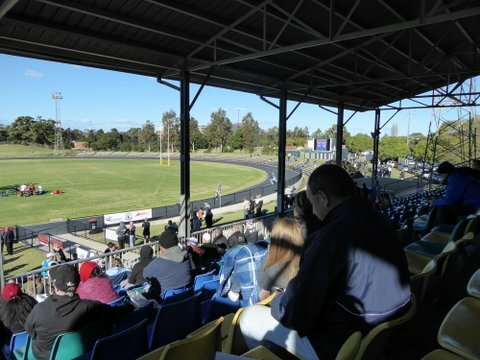 A few photos taken from the grandstand. 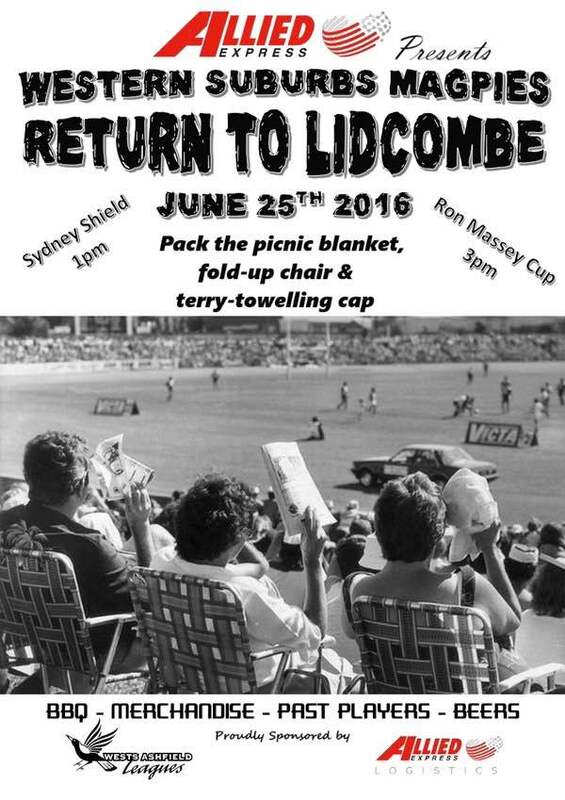 Having visited Lidcombe Oval since before the official move in 1967 this was only the second time I had sat in the grand stand. 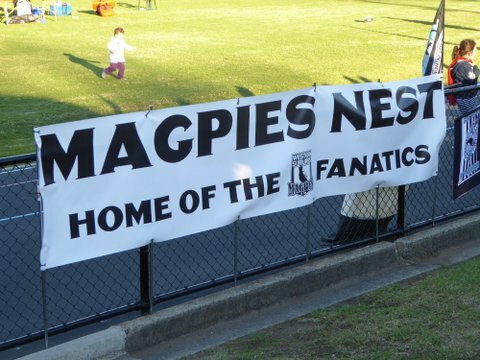 I almost forgot …..there was a game played on Saturday…..
Below is the official match report taken from the Wests Magpies website. 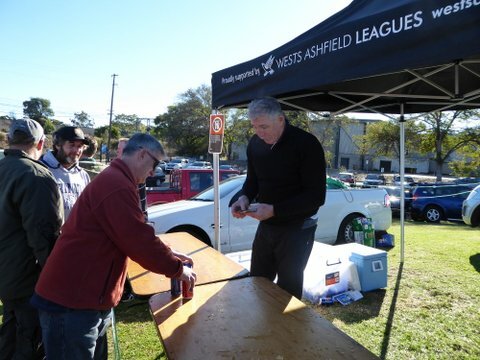 Click onto link below to view this very good website that will keep you up to date with everything Wests. 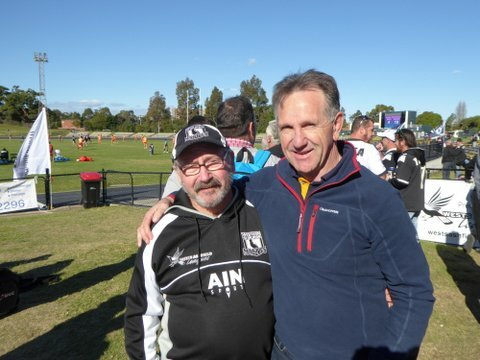 Wests’ Old Boys Day was a rousing success on and off the field, the Magpies defeating Concord-Burwood 28-10. 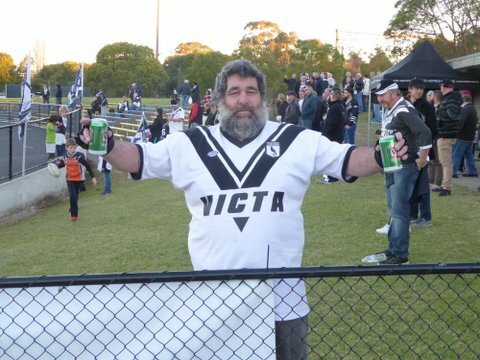 With a healthy crowd cheering them on, Wests registered first points after ten minutes, a Brendan Waters kick rebounding and Thomas Capper taking advantage by going in out wide. 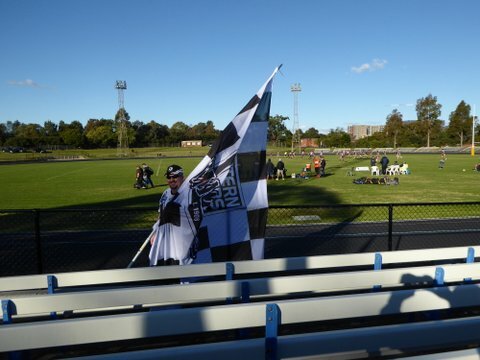 Concord returned serve in the 25th minute, Jackson Garlick burrowing over from dummy half on the last after Wests had defended four consecutive sets on their own line. Both sides had their chances but were denied by strong defence until the 33rd minute, Brendan Waters going to the line and delivering a perfectly timed flat ball for Josh Davis to push through and touch down, Shannon Gallant’s conversion making it 10-4 at the interval. 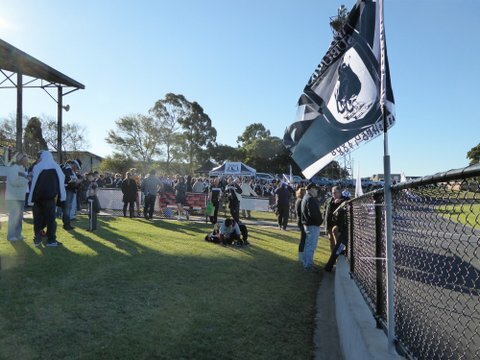 Concord settled into a grinding rhythm to begin the second half, but it was Wests who scored first as Dayne Craig put Luke Williams through a goal line gap for his second of the season, Shannon Gallant following up a Brendan Waters kick shortly afterwards to blow the score out to 22-4 to the home side with 25 minutes remaining on the clock. 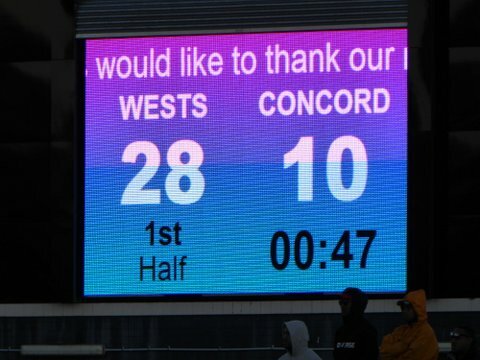 The remainder of the second half was a grinding affair with little in the way of tryscoring opportunities, although both sides got a little restless towards the end, Concord going in out wide through Sione Fukofuka with six minutes remaining on the clock. 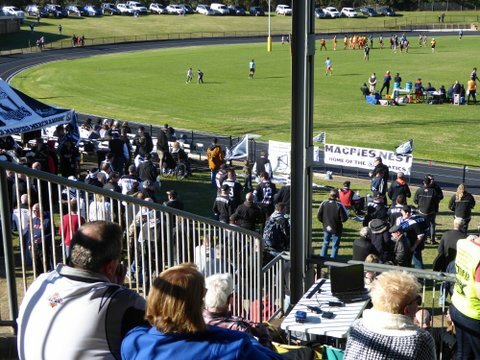 Wests would have the final say in front of their alumni however, Dayne Craig breaking clear and allowing Brendan Waters to chip perfectly for Thomas Capper to grab his second try out wide, Wests easing their way to an 18 point victory. 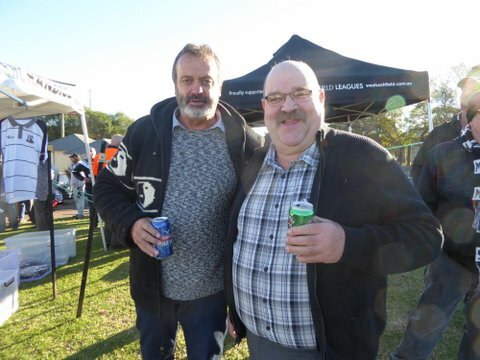 singing “we are the boys from Western Suburbs……. The rest of the team join in. The boys in full voice. 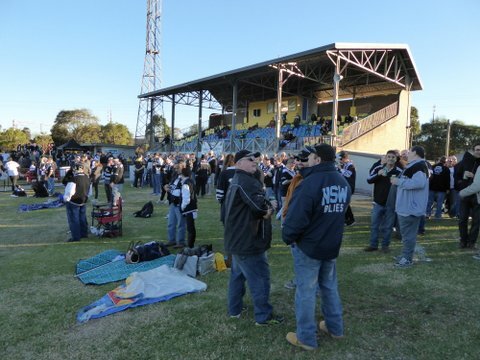 Part of the huge crowd that stayed behind in very cold conditions to sing along with the winning Wests team. Photo of the day Big Gary Topham just after full time.